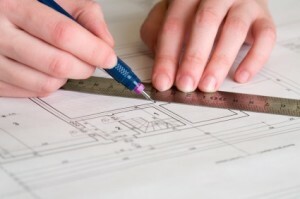 There are many learning resources available if you want to learn CAD. However, not all of them are good. 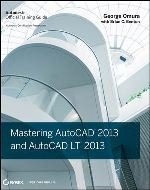 Autodesk has certified many books as ‘Official Training Guides’. They are recommended for self-learning and for training classes material. What make AOTG better than other books? I won’t say that AOTGs are the best books. I’ve seen some great books but not labeled as official or certified. AOTG are great because they are written using ‘official’ terms and suggest best practices for that version. First, they cover the topic thoroughly. Make learning your Autodesk software easier. And they use best practices to use your software. Second, when you learn a software, after you finish a training class (or reading books) you will not stop there. You will need to ask in the community, fellow CAD users, or just Google your problem. What if you accidentally close that floating thing on the right side, below the box with N E S W letters? How do you ask to your friends to show it again? It would be easier if you know it is navigation bar. AOTG provides strong foundation for you to move further. Not only they are useful for daily work, it is also important if you are planning to have associate/professional certification. I took Revit Architecture 2010 professional certification. If I didn’t learn from AOTC (before AOTG, there were AOTCs) I believe I would failed the test. Even if you have many years of experience, learning from AOTG will ensure you will pass the test. 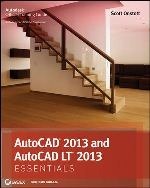 If you want to learn AutoCAD and want to use Autodesk Official Training Guides, you have a chance to win these books below. 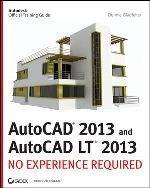 Wiley provides 2 copies of each title as prizes in CAD notes productivity giveaway. So you have quite big opportunity to win an official book. If you are interested to win a copy, submit your entries in comment section of the contest page. Remember, tell us why you should win the book! Hurry, the contest will be closed at 30 September, midnight EST time! you are an amazing instructor. I hope there will be some notes for ProSteel too.